Originally from Jamaica, Sean Wilson moved to the U.S. at age eleven; where his passion for jazz music led him to study trombone. After playing trombone in the U.S. Army 82nd Airborne Division Band, he graduated from FIU in Miami with a computer science degree. During his studies he also began intensive Wing Chun kung fu training, which he continues today. 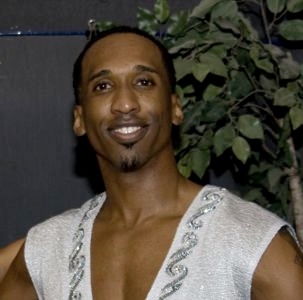 In 2003, while working as a software engineer in Miami, Sean was lured into salsa classes. His prior musical training and martial arts energy-flow awareness enabled Sean to move quickly through the curriculum. Although he began learning casino style salsa, he soon switched to L.A. style and began performing with Salsa Karibe Dance Team in 2004. During this time he realized his instincts as a jazz musician could be most fully expressed while social dancing in the New York/On2 Mambo style of salsa. After moving to Orlando, Sean began to teach for Salsa Addiction in 2006 with Juliet McMains, where they transitioned the On1 classes to On2. Today, Sean is a computer systems consultant and director of Essential Element Dance Company. Essential Element’s uniquely entertaining and brilliantly executed performances have made Sean a highly sought after choreographer and performer. Sean’s musical understanding and analytical-style of movement breakdown make him a highly demanded instructor. He has taught and performed On2 Mambo and Cha Cha Cha in the U.S. (FL, VA, CA, WA) and throughout the world (Mexico, Russia Japan, Taiwan). His monthly socials bring the dance community together with an excellent DJ, passionate live music, and performances. Sean's rhythmical shines and the ability to easily adjust to partners of varying skill levels also make him a highly sought after social dance partner on the floor.